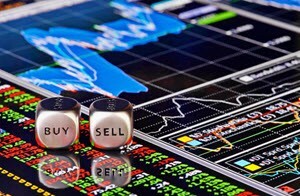 If you are interested in trading and investing, there are a lot of different brokerage firms available. The most affordable option is usually to go with an online broker, but traditional phone-based brokers are also available. There are even brokers that will meet you in person, but they tend to be rather expensive or deal only with large investors – at least if they are actually serious brokerage firms and not some sort of scam. It is impossible to say which broker is best, since each trader has their own needs and preferences. A broker that is amazing for one trader might be highly unsuitable for another. It is a good idea to compare several brokers before you make a decision, and read the fine print rather than pick a brokerage firm based on a flashy commercial or a $250 welcome offer. Full-scale brokerage firms will normally offer a lot of side services in addition to the act of executing purchases and sales for you. They may for instance offer financial advice and provide you with relevant news and information. Some even have lawyers working with them that can help you with tax planning, estate planning, and so on. Slimmed-down brokerage firms tend to have lower commissions/fees than full-scale brokerage firms, something made possible by offering just basic services. Regardless of which type of brokerage firm you pick, always check out all the costs instead of just focusing on the commission for trades. Will you for instance be able to get free support through phone, live chat or email, or do you have to phone an expensive premium-rate telephone number to reach the customer support? Is there a yearly fee with this broker? Will you be charged a penalty if the assets in your account sink below a certain point? Also, always check the commission for all type of trades that you are interested in. A broker may for instance attract customers by charging a very low commission on stock market orders, but what if you want to make another type of order? What would a stock limit order cost? What if you want to purchase bonds and options, instead of just sticking to stock company shares? Another interesting point to check out is the brokerage firm’s policy for money held in your account. Will they pay you interest on this, and if so – how much?